Tempurpedic is one of the most well now names in the bedding industry. The make high quality mattresses and pillows using their trademark Tempur Material. This is high end memory foam that is built for pressure relief and longevity. Maybe you can’t afford one of their mattresses but most people can afford one of their great pillows. This pillow is the Contour Breeze Sid-to-Side pillow. Built for Side Sleepers & Hot Sleepers. What I loved about the pillow is how the contour really supported your neck and let your head rest nicely on the pillow without pushing my head up to far on my back. On my side this pillow was amazing. It contours again to your neck and keeps you spinal cord in alignment. This is now one of my favorite pillows when side sleeping. I was actually surprised how much I liked it because I normally like shredded foam pillows better. But the contour of this is perfect. I felt great support but not too much loft so the design and thickness is just right. The cooling gel layer really does feel cold and stays cold longer than any infused gel memory foam does. Side sleepers should really consider this pillow. Shipping – free shipping, it arrives in a box. Typically 4-5 business days. 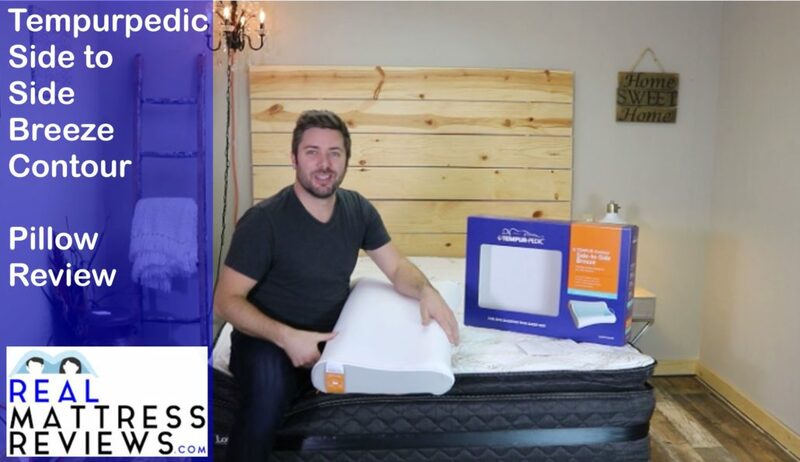 If you have never heard of Tempurpedic you might live under a rock 🙂 They are one of the most well known mattress and pillow brands in the world. They are known for very high quality products with high quality components. If you go with a Tempurpedic mattress or pillow you are investing in something that will last and perform at a high level for comfort, support and pressure relief. Overall this is a great pillow for the price. It performs amazing on your side or back. It’s clear Tempurpedic has the same quality materials in the pillowsas they do their mattresses. The cover is washable and the pillow sleeps very cool. Its super supportive and helps keep your neck and spine in alignment.